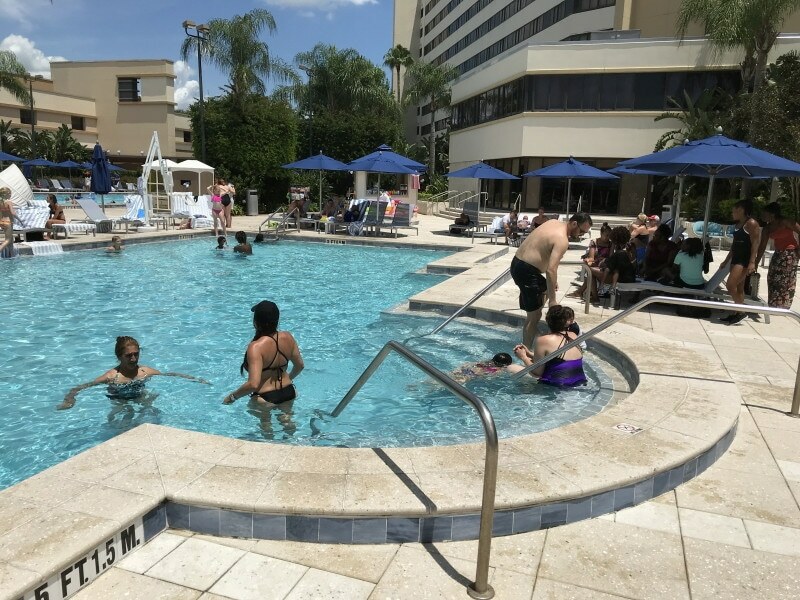 The pool complex at the Hilton Orlando Lake Buena Vista has two good-sized regular pools, a brace of hot tubs, and a kids’ wading pool–as well as an outdoor bar. 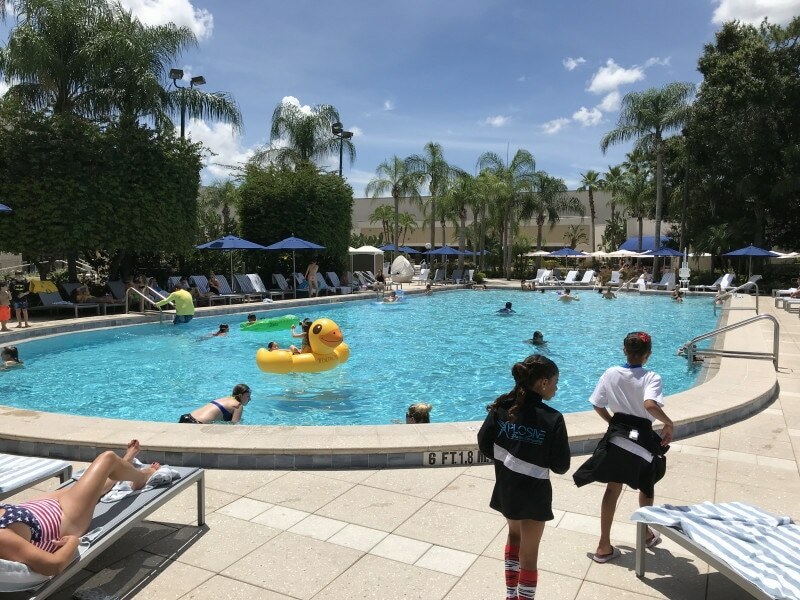 While not distinctive or particularly interesting, the pool complex at the Hilton Orlando Lake Buena Vista is one of the top three among the seven Disney Springs Resort Area hotels–the pools at the Wyndham and the similarly-named Hilton Buena Vista Palace are also in this same group. The pool complex framed among the mid-rise accomodations building and convention spaces. This isolates it from the nearby freeway. There are two principal pools, one a bit smaller and rectangular, the other larger with a curve at one end. 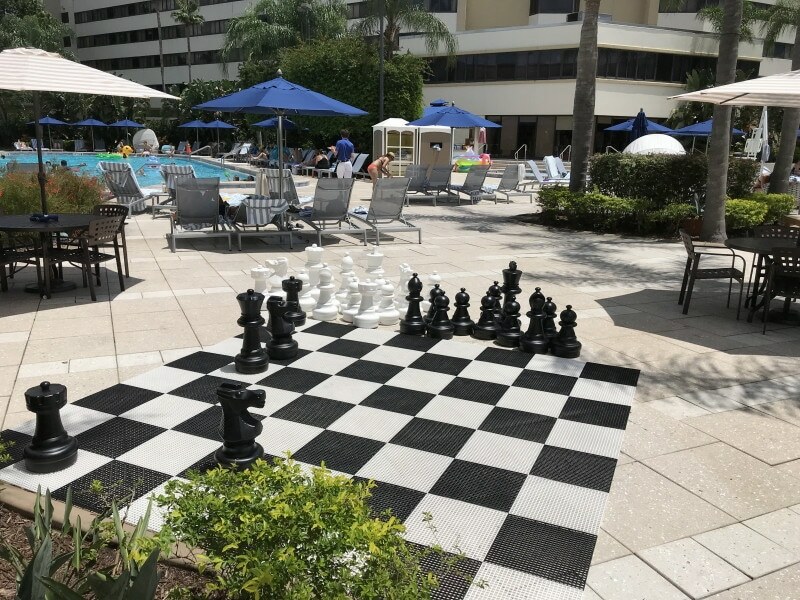 Another view of this pool. Next to it is this larger pool. 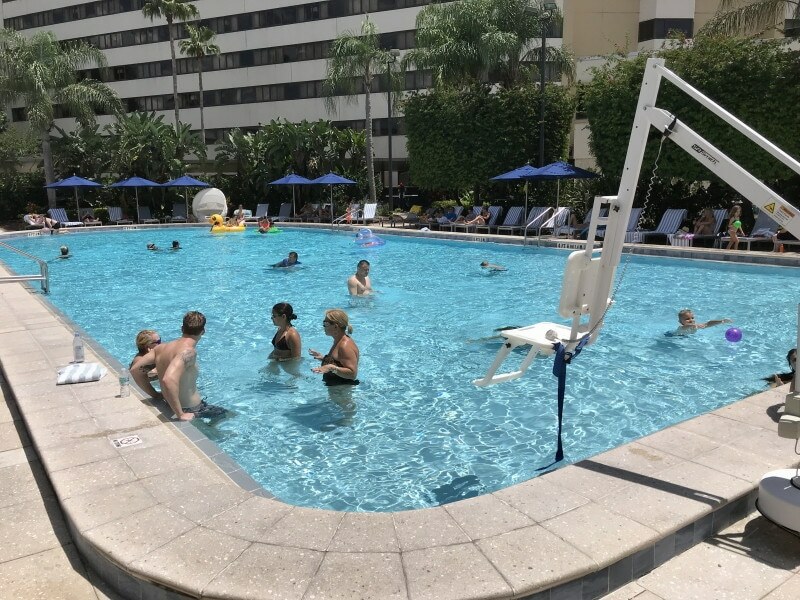 This pool from the other side–your rubber duckies may vary. 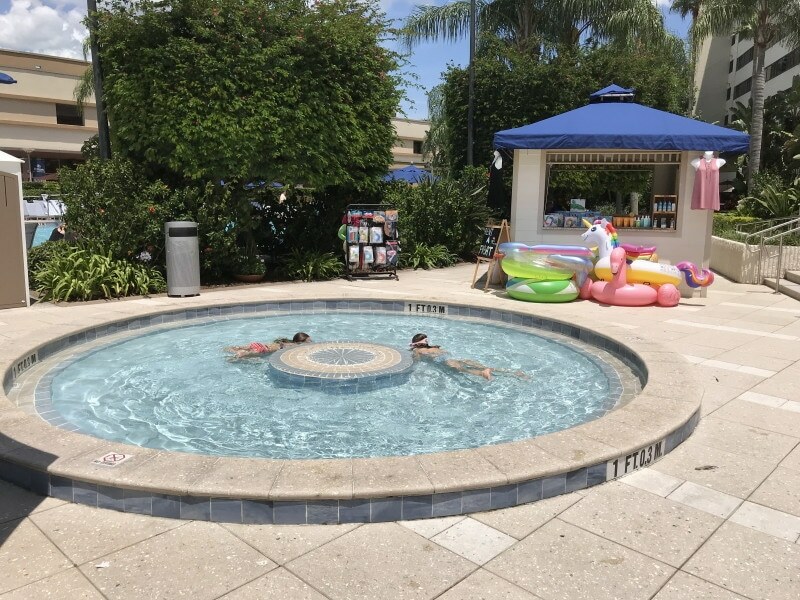 Between the two pools is this children’s wading pool–note at the upper right the kiosk for renting pool toys. 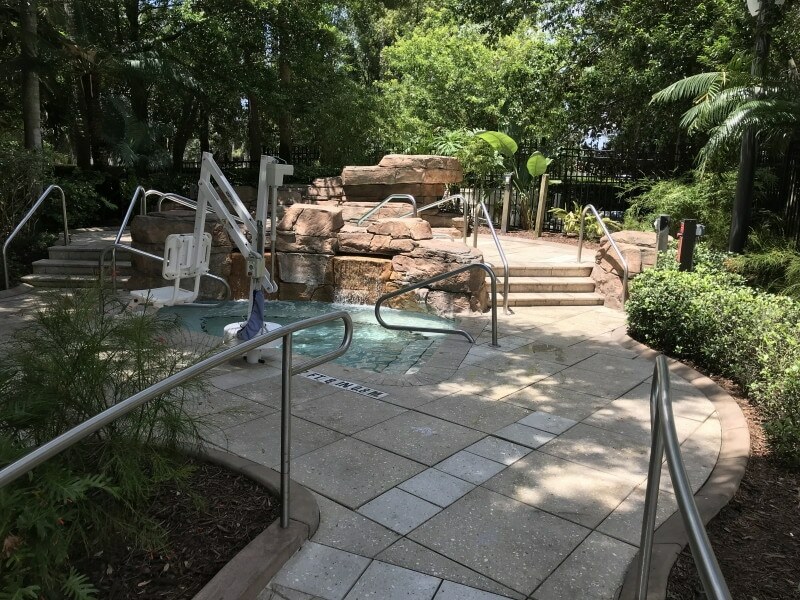 This fun set of hot tubs is also present (another image of them is at the top of the page). 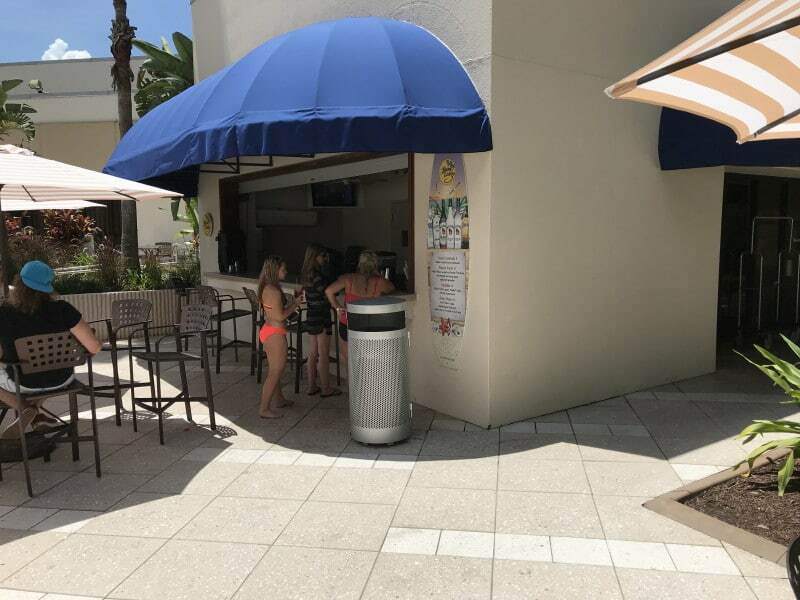 …or perhaps more likely at this pool bar. 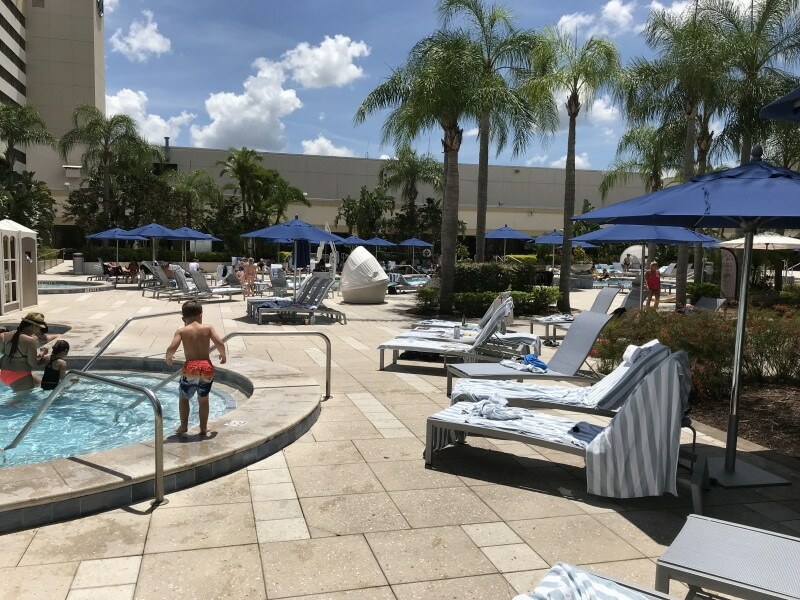 While there’s nothing especially delightful or interesting about the pool complex at the Hilton Orlando Lake Buena Vista, it has all the key features of a vacation pool complex except for a splash/spray play area, and has plenty of capacity. 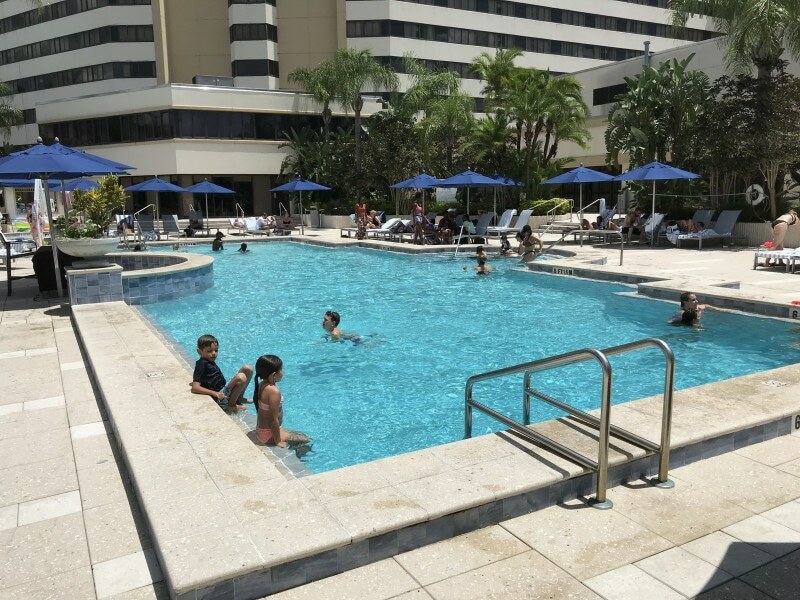 This puts it into the highest rank of Disney Springs Resort Area pools.